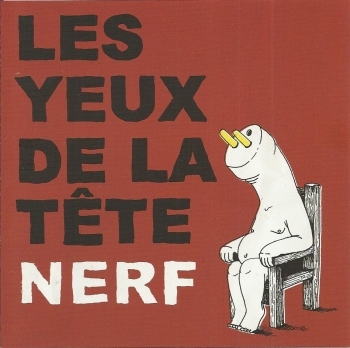 I mentioned Les Yeux De La Tête's "Nerf" album in a newsflash a little while ago. 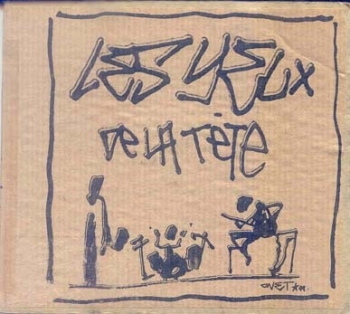 This free-jazz-rock trio (alto / baritone saxophone, electric bass, drums) was formed in 1998 in Caen, Normandy, France. At the time, their repertoire was a blend of original songs and tortured covers, ranging as far as Stravinsky, Hendrix, Led Zeppelin, Astor Piazzola and above all, Frank Zappa. Their most recent release, "Nerf" is amazing. It got released on Head Records, and is't that hard to find (www.mandai.be), so there's no reason for you not to check it out. Very powerful, energetic music. It reminds me of Swiss band Arf!, and of Zappa !! 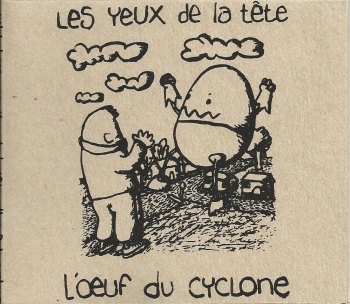 The band's previous album, "L'Oeuf Du Cyclone" got released in 2007 in a limited edition of 200 copies on the Petit Label. It has been out of print for a little while. Next to some original compositions, the band performs Zappa's 'Cleetus Awreetus-Awrightus', Jimi Hendrix's 'Fire' and a Stravinski piece. And the Discogs website says that the band also made a demo in their early years on which they recorded Zappa's 'King Kong' and 'Oh No'. Reason enough to add the data to the United Mutations Archives. Here are the album covers. And if anybody can tell me how I can get hold of a copy of the 1999 demo, don't hesitate to tell me. and the recently released "Nerf", with another fine album cover.